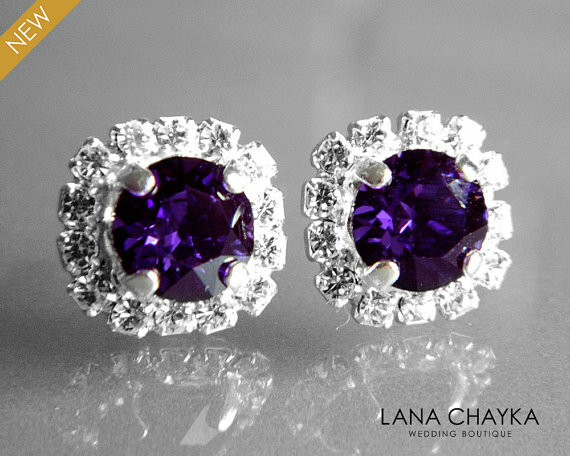 Wedding Swarovski 8mm Purple Velvet Fancy Rhinestones Sterling Silver Plated Stud Earrings. These earrings are made with Swarovski 8mm Purple Velvet dark violet fancy rhinestones, sterling silver plated plated ear studs surrounded with clear rhinestones.Earrings are lead and nickel free. Great for any wedding or occasion! Packaging: Free box perfect for gifting.